This article will cover what happens after a blood sample is taken following a Michigan DUI arrest, particularly in the Metro-Detroit area (meaning Macomb, Oakland and Wayne Counties). Instead of a long, overly-legal analysis of the scientific protocols required of such tests and the results they produce in a drunk driving case, we’ll keep things short here and focus on what you can expect early on. We’ll also look at how (and why) Detroit-area drinking and driving cases involving blood tests take longer to make it to court than those involving breath tests given at the police station. In my practice as a Michigan DUI lawyer, “When will we hear something?” is about the most common question asked of me after a DUI arrest with a blood draw. For most people who’ve had their blood taken, the days following a drunk driving arrest are quiet. Sure, you’ve been told that you’ll be contacted, but when? How? Will the police come knocking at my door or show up at work? Thankfully, the answer is “no.” I’ve never had that happen in any DUI case I’ve handled, but one thing that does occur sometimes is that the police (or the court) do NOT follow through with any kind of notification, and upon inquiry my office learns that a new client has an outstanding warrant for a DUI charge despite having checked his or her phone and mail carefully ever since the arrest. To be sure, this is not the norm, but it does happen, and when I’m retained in a DUI case where the client has had his or her blood taken, my office promptly notifies the court, and sometimes the appropriate person at the arresting police agency, as well, so that my client won’t miss any notification. A big part of the problem here is timing. If you go to the police station and blow into the breathalyzer machine, your BAC results are printed out immediately. If your blood is taken, it can take weeks (usually, in the Tri-County area, about four weeks, give or take) before the results make it back to the police, who then must forward everything to the prosecutor. Blood is always sent to the Michigan State Police Crime Lab for analysis. There is a lot to understand about how the blood must be collected, packaged, sent and tested, but discussion of that falls beyond the issue of timing that we’re examining here. And for all of the science you can apply to DUI blood tests, none of it really matters a bit until the results come back. If you’ve been arrested for a Michigan DUI and had your blood taken, a good and general rule of thumb (at least in the Detroit area) is that it takes about a month to get the results. And while it used to be that blood tests were almost exclusively given in cases where a person refused to take a breath test, more local police agencies are having them done right out of the gate, instead of breath tests. I’ve had cases in Oakland County where the person was driven right to the hospital from the scene of the arrest, and other cases in Macomb County where someone like an EMT has been at the police station to take blood right away. Another important facet to any case where blood has been taken after a person refuses to take a breath test at the police station is what happens to his or her driver’s license. Anyone who refuses a breath test is subject to having (and likely to actually have) his or her license suspended for year under Michigan’s Implied Consent law. This is something you learn about in driver’s ed, and it boils down to you agreeing that, by accepting a driver’s license, you will provide a breath sample upon request of a law enforcement officer. If you refuse, you are given a form called “Officer’s Report of Refusal to Submit to Chemical Test.” This is, for the time being, your temporary driver’s license. The back of the form contains instructions for requesting a hearing to challenge the conclusion that you refused the breath test. If you do nothing, meaning specifically that if you do not, within 14 days, request a hearing as explained on the back of the form, your license will automatically be suspended for one year, per statute. If you do send in the form, a hearing will be scheduled before a Michigan Secretary of State Administrative Hearing Section hearing officer. These officials are essentially administrative law judges, and not the examiners who work in branch offices and review bad driving records. 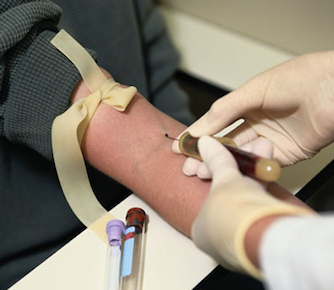 The legal issues involved in an implied consent hearing are a subject in their own right, and, like the law and science of blood testing, beyond the scope of this article. The upshot, however, is that if you request a hearing, there is about a 10% chance that the police officer won’t show up and your license won’t be suspended. That alone makes it worth the price of a stamp. If you do request a hearing and you lose (the likely outcome if the officer does show), or, if you do nothing and your license is suspended automatically, you can still go to court and request that it be reinstated. I do this all the time. These process is rather formal and can vary somewhat from county to county. It requires filing a petition in the circuit court for the county in which you were arrested and serving it upon the Michigan Attorney General’s office. I honestly do not recall ever losing even one of these cases in the course of my 26-plus years as a lawyer. There is, of course, life after a blood draw. It may sound more complicated or serious, but in the final analysis, it’s still a DUI, not a murder charge. About the biggest thing you need to know is that if you’ve had blood taken, for whatever reason, it will be about a month until your case really starts. If your blood was taken because you refused the breath test, you should promptly file for a hearing. And if you are looking to hire a lawyer for a DUI anywhere in the Metro-Detroit area (meaning any court in Macomb, Oakland or Wayne County, I can help. Do your homework. Read articles, then call around. In my office, all initial consultations are done right over the phone, when you call. We’re standing by to help, Monday through Friday, from 8:30 a.m. until 5:00 p.m., and can be reached at 586-465-1980.